The rumor fog around Samsung's next-generation Galaxy smartphone is so thick it's palpable. We don't have any confirmed specifics other than it will be announced on May 3rd with Samsung's own Exynos Quad processor with support for 3G networks. There have been a ton of rumors about this phone, though, and it has gained a following no less than the kind that builds around Apple's product launches. We've seen a fresh leak almost every week and there have been rumors on what the phone might offer for months. Let's go back through time and see what kind of rumors have been floating around, because anticipation for a new smartphone is fun, isn't it? 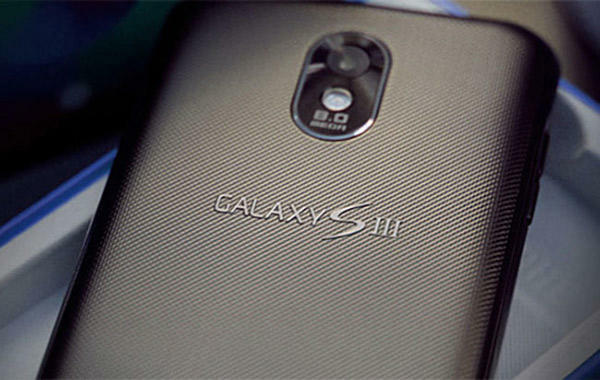 The first rumors that surfaced suggested Samsung's upcoming phone, possibly dubbed the Galaxy S III, will offer a ceramic body, a large 4.65-inch display with a 1080p HD resolution, NFC support, an 8-megapixel camera and the 1.4GHz quad-core processor that was just made official last night. Oh, and then there was talk of the phone's ability to charge wirelessly from up to two feet away. That would be cool, but I'm not so sure I believe it will be included. Specs certainly build anticipation around a device, but as they say, a picture is worth 1,000 words. Lately we've seen more than just a few renders and leaked photos of the device. Are any of them legit? Who knows, but unnamed Samsung officials have apparently debunked some of the most convincing renders claiming that security around the Galaxy S III is the tightest it's ever been. Then there was the rumor that suggested Samsung won't call its next Galaxy device the Galaxy S III at all and that it will only be a minor upgrade over the Galaxy S II. That's hard to believe since we're expecting 4G LTE support in the United States (the Note and Galaxy S II Skyrocket already offer this support but the original Galaxy S II did not), the aforementioned bump from a dual-core processor to a quad-core Exynos processor and a larger screen with a higher resolution. Those are already huge upgrades and that's not even taking into consideration the bump in build quality if ceramic and metal are used in the design. The original Galaxy S II, like too many of Samsung's phones, was built out of cheap feeling plastic. The rumors don't stop there, though. Samsung's previous Galaxy S and Galaxy S II devices have sold like gangbusters worldwide and I'm already predicting that its next Galaxy phone will be even more successful. Why? I think carrier's have already seen the success that the family delivers and each one is going to want a part of it. That's why the rumor suggesting that Samsung has already received record pre-orders from carriers and retailers seems to add up. Finally, the latest talk about the phone is a bit hard for me to swallow, but it too makes sense. Apparently the Galaxy S III won't be equipped with Samsung's Exynos Quad in the United States and will instead ship with a Qualcomm processor. That's for support for 4G LTE networks here in the U.S. I'm guessing it will ship with Qualcomm's Snapdragon S4 chip, much like HTC's One X and One S, but I really wish we could get some quad-core loving here in the United States. We already know NVIDIA's quad-core Tegra 3 smokes Snapdragon S4 in a number of tests and I'm excited to see how Samsung's Exynos Quad performs, too. We'll be reporting live from Samsung's event in London on May 3rd. Stay tuned for our coverage when we'll finally be able to lay all of these rumors to rest and bring you hands-on photos and videos of the real deal.